True surfers understand that surfing is not a sport, a hobby or even a lifestyle. Instead, it is a path, a constantly evolving journey that directs where you go, how you live, and who you are. In 2006, Liz Clark decided to follow the path that surfing, sailing and love of the ocean had presented to her. Embarking on an adventure that most only dream of taking, she set sail from Santa Barbara, solo, headed to the South Pacific. Nine years later she is still following her path in search of surf and self and the beauty and inspiration that lies beyond the beaten path. In stories overflowing with epic waves and at the whim of the weather, Liz captures her voyage in gripping detail, telling tales of self awareness, solitude, connection to the earth, and really great surf spots. When Liz Clark was nine, her family spent seven months sailing down Mexico's Pacific coast. After returning to land life in San Diego, she dreamed of seeing the world by sailboat one day. While earning her BA in Environmental Studies from UC Santa Barbara, she fell in love with surfing. After college, she turned her voyaging dream into reality, sailing south from Southern California through Central America and the Pacific Islands. 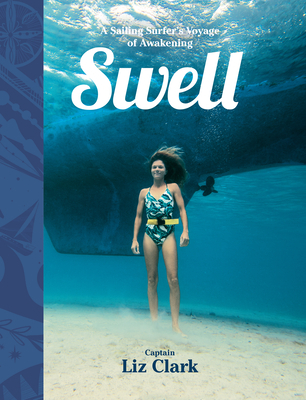 For more than a decade, she has kept her nomadic ocean lifestyle going through writing, blogging, photography, representing conscious brands, and earning recognition as a surf adventurer, environmental activist, and captain. She hopes to inspire people to live their passions and reconnect with nature and our inherent oneness. She was featured in the film Dear and Yonder (2009), and nominated for National Geographic Adventurer of the Year in 2015.